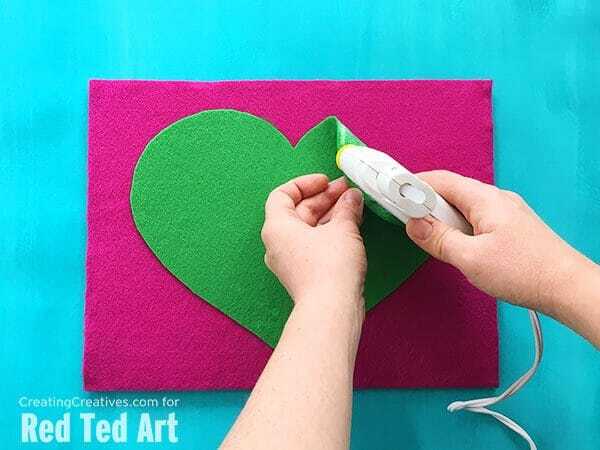 How to make a Heart Bulletin Board DIY – gorgeous room decor for Valentines (and all year around!!). 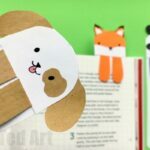 Today’s 31 Days of Love guest post is the wonderful Shelly from Creating Creatives, who recently shared her fabulous 3D Dog Masks with us!! 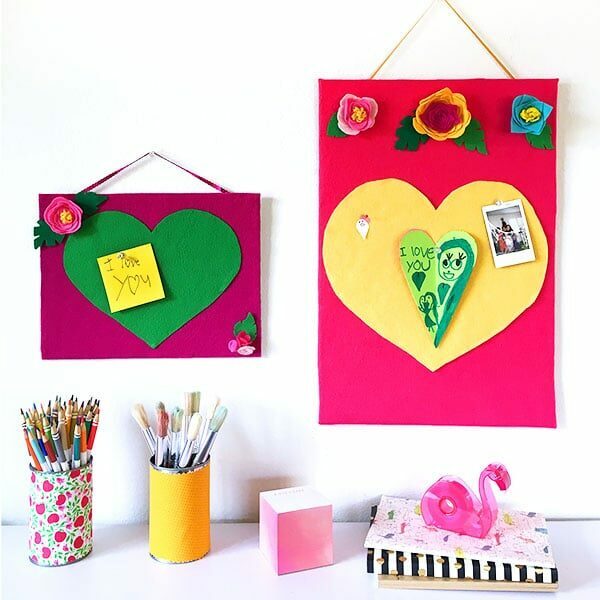 Today, she wows us with some colourful DIY Love Note Boards to make yourself. 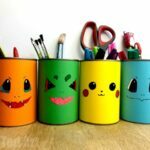 These would look gorgeous in anyone’s bedroom. 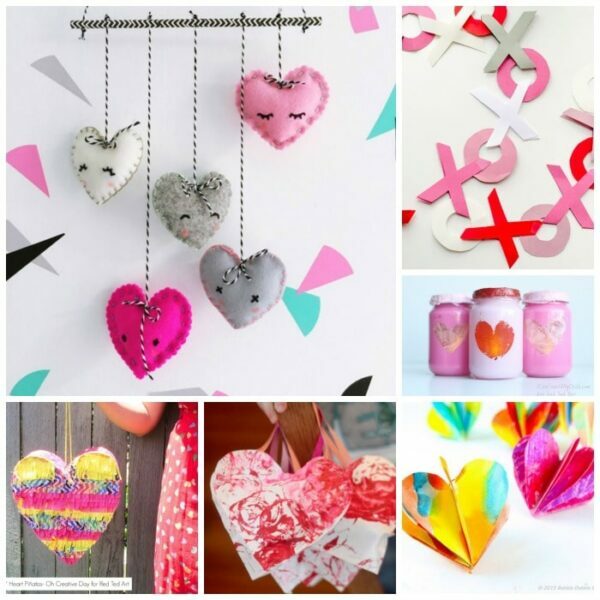 A great Valentine’s Day decoration, but general room decor too! Love love love. 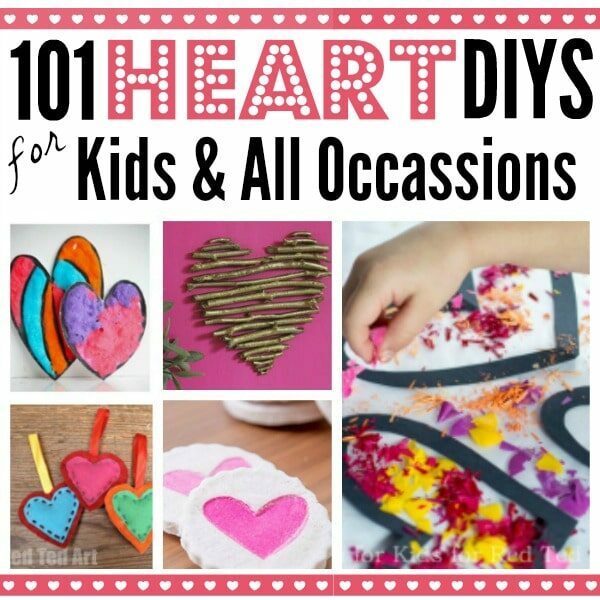 They make a great addition to Heart Crafts 101 too! 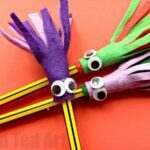 I’m Shelly and am the creative behind Creating Creatives, an online space with fun and simple projects to exercise the imagination, and encourage creative exploration. 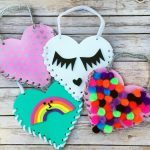 I am a huge fan of Maggy’s and all she does for the crafting world so was super excited when she asked me to participate in her 31 Days of Love series. 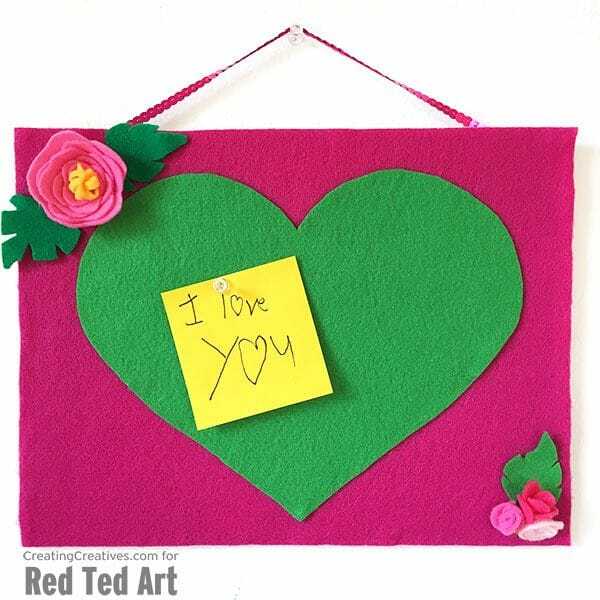 As I was thinking about what project to do I thought about all the love notes we get that end up in a pile or forgotten about and thought it would be great to make a board specifically for love notes. 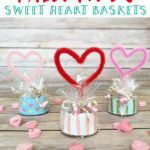 Why not keep the love notes coming all year round?! 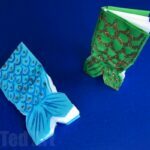 This project is so simple and a great way to recycle those amazon boxes. It would also make a great little gift. So with no further ado I present to you our cardboard & felt Love Note Board. 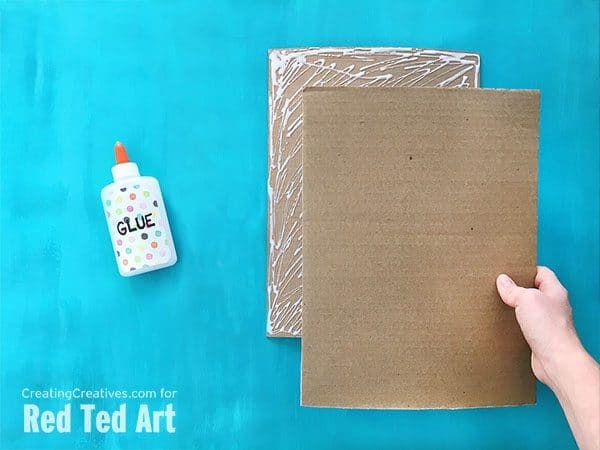 Cut both pieces of cardboard to the size you want your love note board to be, and glue them together with school glue. Allow to dry for a couple hours. 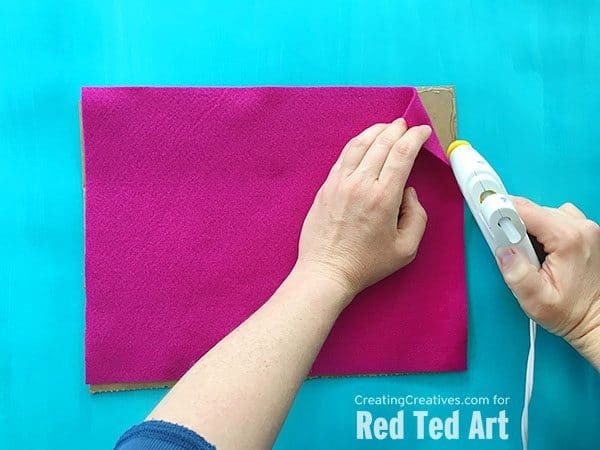 Cut your felt to cover your board. 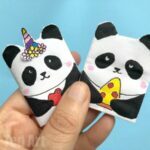 You can either cut to fit the front, or leave some extra to wrap it around the sides and onto the back. 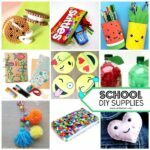 Hot glue the felt to the cardboard. 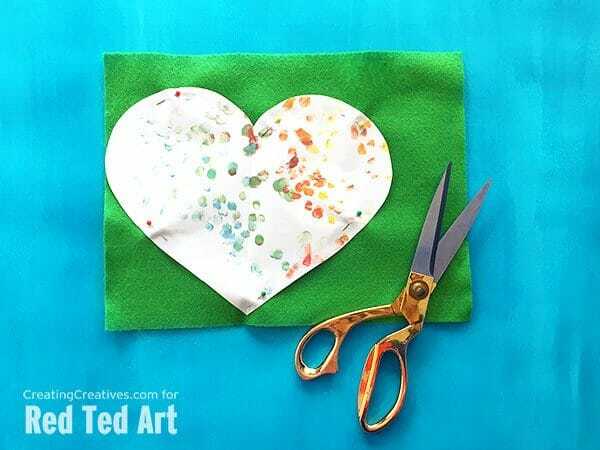 To add a heart to the center of your board cut out a heart template on a scrap piece of paper, then pin it to the felt and cut it out. Hot glue the heart to your board. 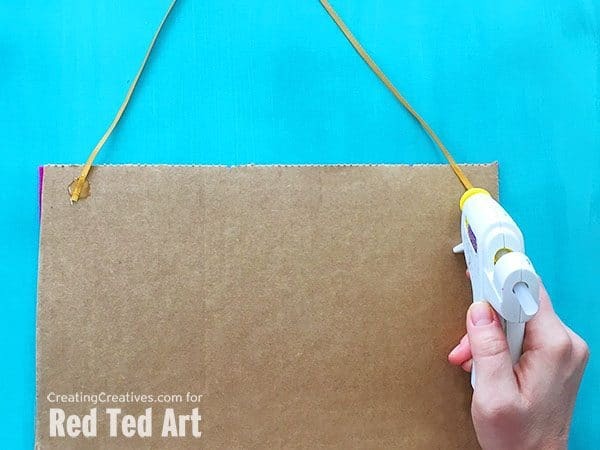 Measure out some ribbon to hang your board with and hot glue it to the back of your board. You can now hang as is, or decorate. 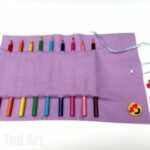 We decorated ours with some felt flowers, but you can use anything really, buttons, a felt boarder, pipe cleaner, beads, anything that’s not too heavy and that you can hot glue to felt. 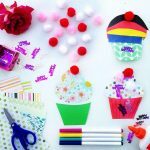 If you’re new to felt flowers and want to give it a try have a go at the ones below. 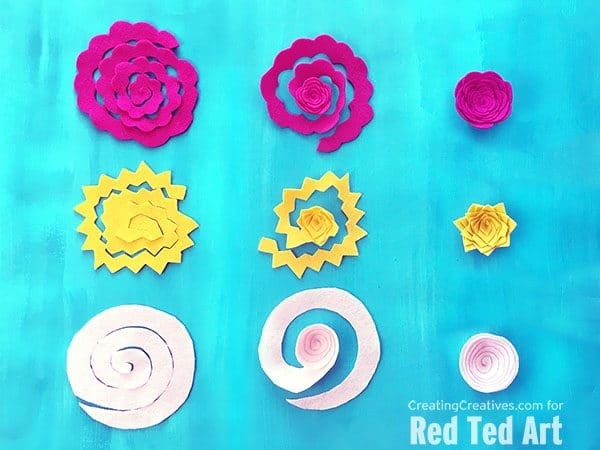 Cut out different shapes in a spiral, then start in middle and hot glue the edges as you curl them around to create a flower. 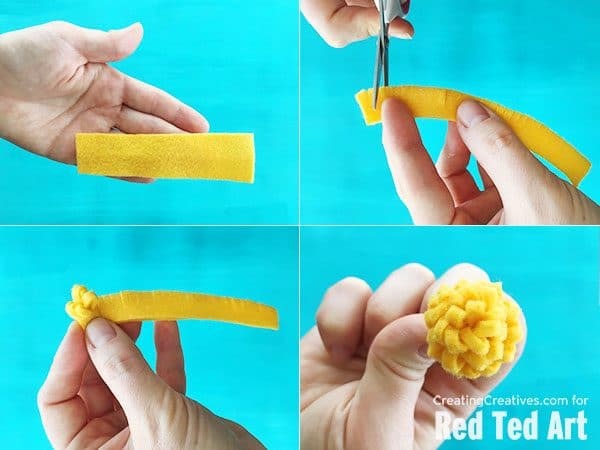 To create the center of the flower or a different type of flower cut a strip of felt, fold it in half and cut slits half way down. 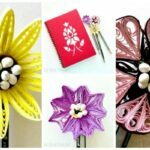 Roll up and hot glue as you go and you have another cute and simple flower. This is our final love note board, with a little love note from my son, including heart “o”’s. I’ll be keeping that one up for a while! We hope you enjoyed this little tutorial. We loved it so much we made a bigger one too. 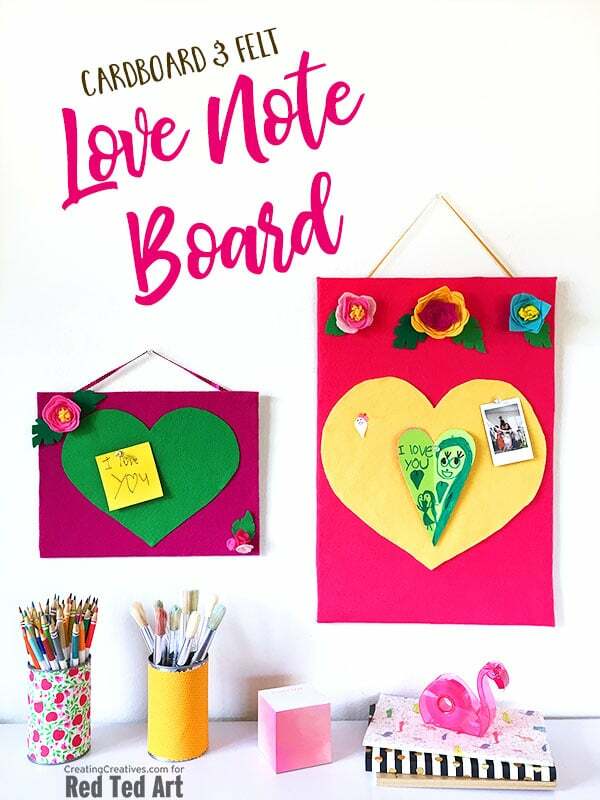 If you decide to make your own love note board we’d love to see how it turns out, so give us a tag @creatingcreatives. Wishing you a most love filled 2018 with lots of love notes to remember it by!